The taxation of non-residents is a topic which has gained a great deal of attention and importance. In particular, in the field of sports, with worldwide television coverage of major events and the ever-increasing revenues generated by artists and sportspeople as well as promoters and other organizations. This has prompted the states in which such events take place to secure and increase their share in the revenues and to improve their collection systems. 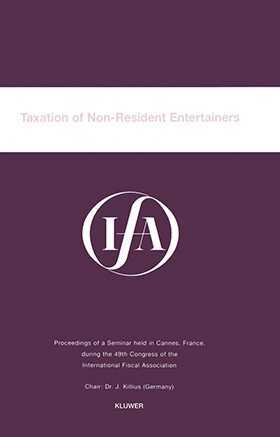 This book, which reflects the proceedings of a seminar held in Cannes, France in 1995 chaired by Dr Jürgen Killius, contributes to the understanding of the income tax status of artists, sportspersons and loan-out companies in the state in which they perform their artistic or sports activities.